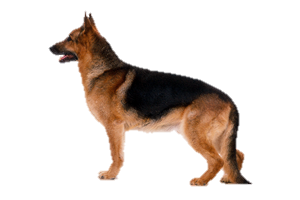 The German Shepherd Dog is one of the most easily recognizable and versatile breeds worldwide. The breed was first used to herd and protect large flocks of sheep. Today, German Shepherd Dogs are popular police and military dogs, as well as companions. For centuries large flock dogs similar to the German Shepherd Dog have existed in Germany. Each district had its own type and it was not until the 19th century that a serious effort was made to perfect them into a single breed. Crosses were made between the existing dogs to create a foundation stock and by 1901 a specialist breed club was created to oversee the development of the breed. Soon its popularity was spreading across the globe, this halted during WWI, but continued again shortly after it ended. After the war anti-German sentiment led to a name change in England and France to Alsatian, which was not reverted back until 1977. Is the German Shepherd Dog Right for You?